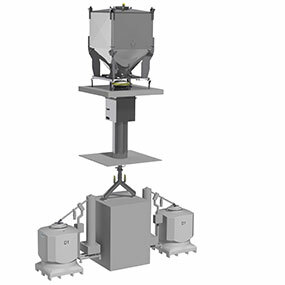 The Matcon Cone Valve IBC system ensures that product can be rapidly & automatically fed into the tablet press without risk of segregation. The Cone Valve creates mass-flow discharge which means that all particles move down through the IBC together keeping the blend in its mixed state throughout the discharge process. The Cone Valve promotes controlled flow even when handling notoriously difficult products such as metformin. No need for Operator intervention or hammer rash on the bins or unscheduled stops to production. Compatible with single-sided or double-sided tablet presses. Suitable for use with double-layer tablet presses. 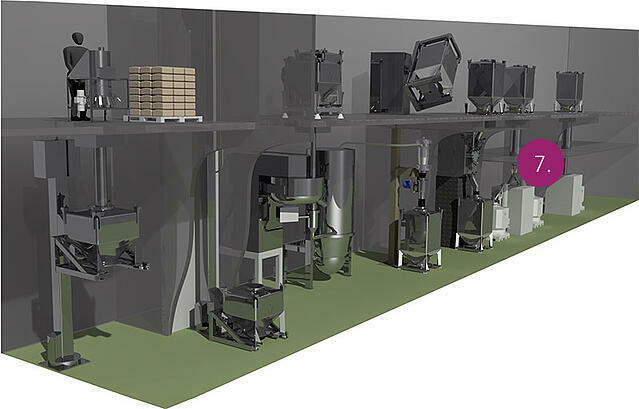 Single-floor or through-floor feeding capability.